The projects featured in this issue were selected to represent the three predominant approaches to house design—alteration, addition and building new. But while they differ in their categorisation, they’re also similar in many ways. Foremost, the presence of new building materials used in conjunction with contemporary design strategies is obvious across all three. For example, new generation prefinished fibre cement sheeting is one of the unsung heroes of Mihaly Slocombe’s alteration project on page 24. The architects used the versatile material to create 3D geometry on facades and ceilings throughout the house. The product is a vast improvement on the fibre cement sheeting of the past and its application in this instance demonstrates how material and design capabilities are complimentary in architecture. The capability of roll-formed standing seam zinc is also on show for all on page 18. The material was used by Matt Gibson Architecture + Design for the firm’s backyard addition to a heritage dwelling in Elsternwick, Melbourne, and has also become a popular roofing and façade material for Australian designers in recent times. In this case, Gibson folded and manipulated the material over the extension’s framework to create an almost seamless monolithic structure. Big cavities that hide downpipes, oversized sliding doors and secret guttering were also specified by the architect – details we’re seeing more and more of in contemporary Australian house designs. At first look, the third project on page 30 appears to be entirely different altogether, and in some ways it is. Its size, scale and budget far outstretch the other two, but it really is just a luxury new house. The real point separation from the other projects is in the design and construction methodology that was employed for the home’s architectural roof. It was designed using a state-of-the-art 3D modelling platform that creates exact digital replicas of architecture products that can be changed on the fly, managed by multiple stakeholders and then fabricated and assembled to the strictest of tolerances. The roof is a product of a truly innovative and integrated construction methodology, one generally exclusive to large-scale commercial projects, but one that is increasingly being adopted by designers for components of residential design. The major commonality between the projects is also evident in this issue’s product features. All look at the evolution of fairly regular construction techniques and building materials to demonstrate how advancements are enabling designers to develop new solutions to old methods for building. Two things that are always emphasised in our content is the mutual dependency between designer and supplier, and the inexplicable link between the finished product and the availability of building materials and technologies. A new way with old materials is always in the back of the designer’s mind, but so is reinventing old ways with new materials. 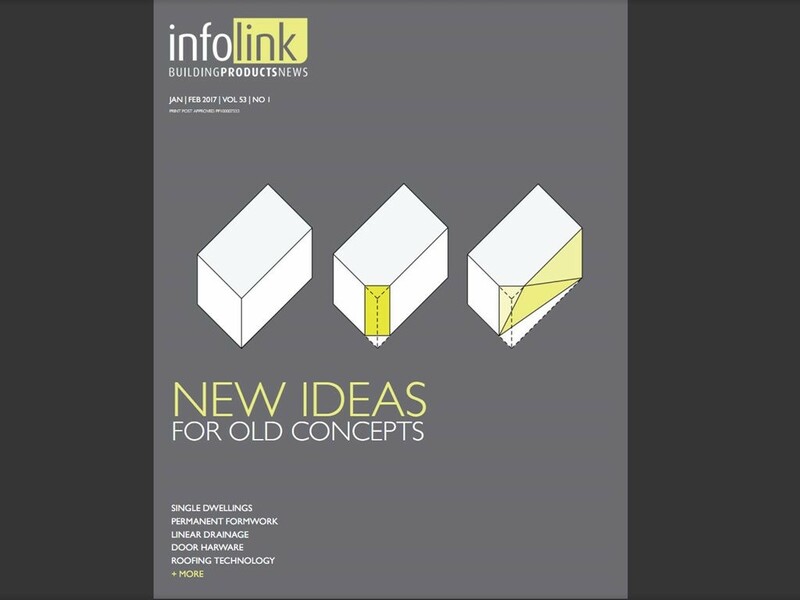 Whichever is your preferred design method, make sure you keep up to date with the very latest innovations from Australian building product suppliers by reading this publication or jumping into our online directory at architectureanddesign.com.au. Please enjoy.